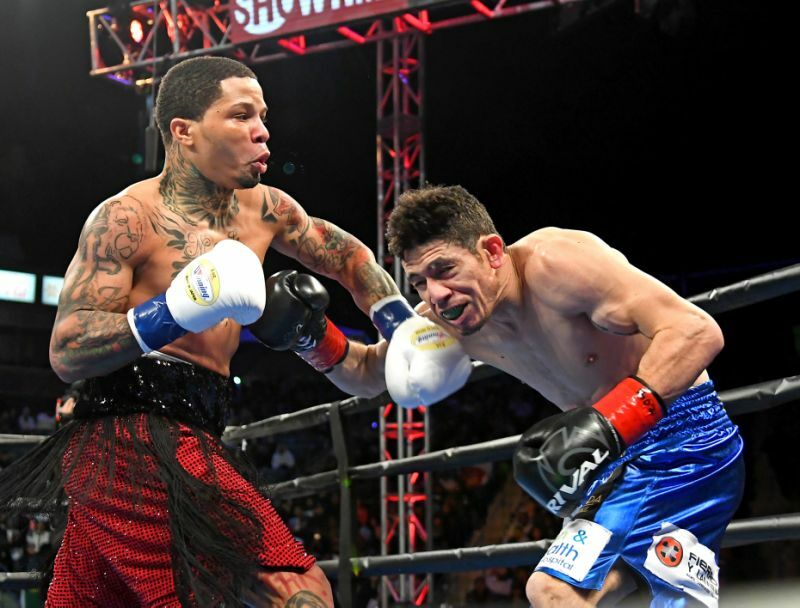 WBA super featherweight champion Gervonta ‘Tank’ Davis 21-0 (20) kept his undefeated record alive with a sensational first-round knockout of late replacement Hugo Ruiz 39-5 (33) at the Dignity Health Sports Park in Carson, California on Saturday night. The fight itself lasted about as long at Davis’s ring walk to Michael Jackson’s “Thriller” – replete with zombies. The 24-year-old champion showed why he is one of the brightest young stars of the sport, expertly setting up his shots before the coup de grace late in the round when a right hook from his southpaw stance smashed into Ruiz’s nose and sent him to the canvas. The 32-year-old Mexican challenger bravely rose to his feet but was in no condition to continue with referee Jack Reiss waving off the contest at 2:59. Ruiz defeated Alberto Guevara by 10-round unanimous decision. Davis’s promoter Floyd Mayweather Jr was full of praise for his young charge, even going as far as to suggest he could surpass his own superlative career in the ring.